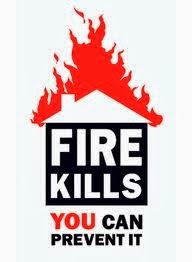 For the second concept and ideation project we were set the task of creating a fire kills awareness campaign. The campaign had to include six key points which had to be clearly stated within the campaign. The next idea that we had was to incorporate some of the ideas that were used in a recent Very.com advert (see video below) in which they used freeze frames. We though that this could be a good idea for a video which would be set inside a burning house and would extenuate the objectives, such as an image of someone trying to get out of a door that is blocked. However we came to the same conclusion that although this would be very visually striking, it would be to much like shockvertising and therefore would not be effective for our audience. After this we began to do some more brainstorming and finally decided on an idea which would incorporate an increasingly popular form of media within the age group we had decided to target, which is vine videos. We decided that we create six individual vine videos which incorporated the six objectives that we had been given. The team and I believed that the videos should be funny by having them set in ridiculous situations but at the end clearly state the objective. This we believed would be an effective way of getting the message through to the age category because they would be more likely to pay attention to something that is funny than something that they are growing immune to. This idea also had the benefit that they could become viral, through being passed around through friends, via social networking. This meant that the campaign would reach much more people.